“I feel that I have learnt a great deal from Tim in terms of the sense of calmness he brought to the group, his sense of fun and adventure, and his understanding of the level of discipline needed for that particular group without losing any of the young people’s respect. For me, Tim’s experience in working with groups was invaluable and I witnessed huge amounts of good practice that I have and will continue to incorporate into my work. 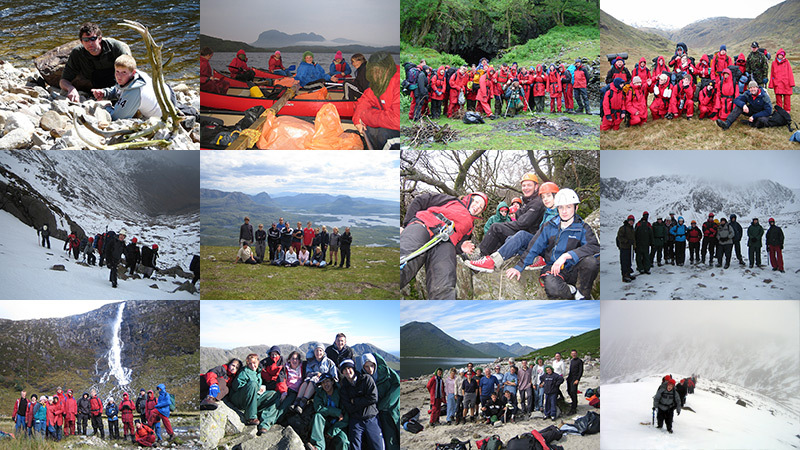 “The benefits of taking pupils out of their everyday, urban surroundings to Glencoul, were absolutely invaluable. I saw our pupils shine. “It’s the first time I have worked with Tim and I really enjoyed working with him. I found him very hard working and consistent. The young people at times were really challenging to work with; together we worked through the difficulties we were faced with, agreeing how to handle each matter as a team. Tim introduced a reviewing technique where we all rated each other after every activity session, job or bedtime and sleep – it became like a reward chart – this is definitely something I will do in future. The young people who went on this trip are now desperate to go on another one: when I explore this with them they say that they felt happy there and felt like part of a family where their views were not only listened to but respected. “…a few thoughts about the trip, the staff, and the benefits clearly experienced by the young people of Blackpool. The whole expedition went off exactly according to plan…as you know expeditions in such remote areas always demand that staff exercise higher than normal standards of care and throughout our time on the island, because of the team’s honest, well motivated and caring approach to professional matters, it was a delight to be able to relax in the knowledge that all angles were covered. …the week in Jura was on another level altogether. The immediacy of ‘non contrived problem solving’, the ongoing need to stay dry, the necessity of working together as a team and need to understand that the actions of the one have consequences for the many, meant that the experience was both inescapable and very real. “I am a Senior Lecturer in Education here at York St John University and Module Director for ‘Children Learning outside the Classroom’. Tim has regularly provided off site visit leader training for groups of both our undergraduate and post graduate student teachers over a period of about four years. These training events have been well organised, well delivered and have contained relevant and valuable information that has been appropriate to the content and focus of our teacher training programmes. The students involved have consistently commented on the value to them and on the longer term impact on both their knowledge and understanding of this element of their training. Tim is knowledgeable and highly experienced and is able to share his knowledge and skills very effectively. I enjoy working with him and value the contribution he has made to the programme, receiving consistently positive feedback from the students.